Developed by R&D team of Teehon, the latest Teehon TS18A SOP-8 LED driver IC with constant current control greatly improves accuracy and line and load regulation of the LED current without any need for loop compensation or high-side current sensing. 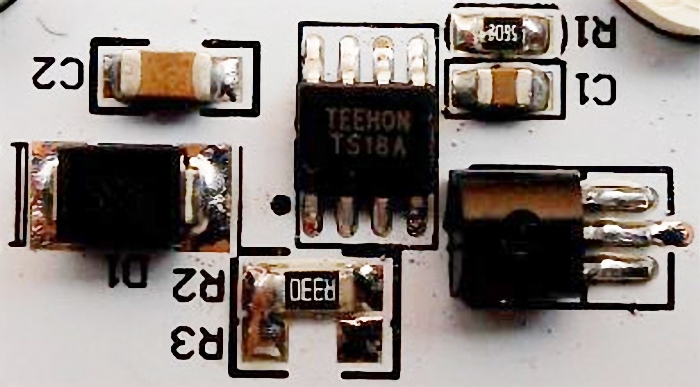 The Teehon TS18A LED driver provides output LED current accuracy of ±2% and comes equipped with a current limit comparator for hiccup-mode output short circuit protection. Also,the Teehon TS18A can be powered from an 9.0 to 100V supply and provides a over-current input and over-heat protection. This LED driver IC with constant current control can be used as a drop-in replacement for many applications to improve the LED current accuracy and regulation.